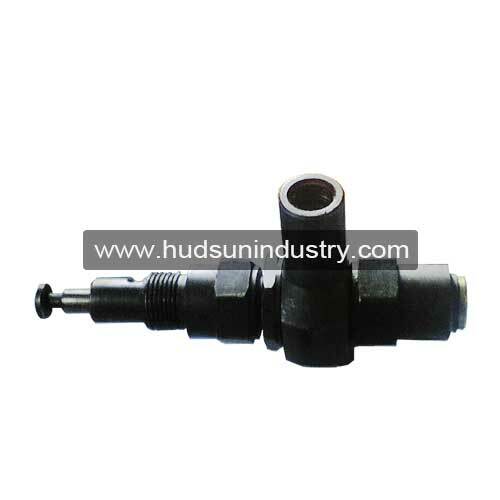 As standard multi-point lubrication pump injectors for DDRB and ZB pumps, it is easy to replace the old one and purchase from us with standard dimensions, better inner structure and lubrication grease or oil output volume adjustable. When the driving wheel pulls the working piston 1 to the left limit position, the grease/oil inlet port is opened and the lubricant is sucked into the cavity of the piston sleeve 2, at the same time, the control piston 3 is moved to the left by the action of the spring to the limit position. When the piston 1 moves to the right, the control piston 3 is moved to the right side. When the grease/oil chamber in the control piston connects to the annular groove at the right end of the piston sleeve, the grease is pressed out and open the check valve 4 which is discharged from the oil outlet. 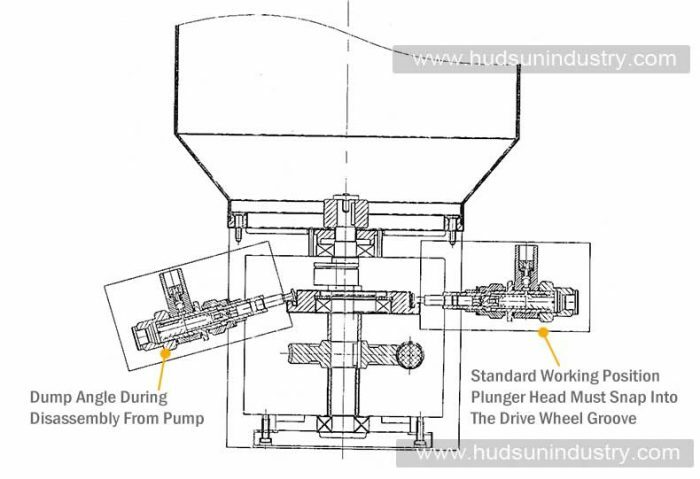 As the eccentric shaft is constantly rotating, the grease lubricant and then continue in turn and out from the outlet port. 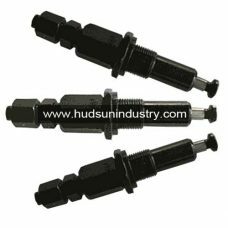 Loosen and take out the screw cap, to adjust the flow adjusting bolt with screwdriver to adjust the amount of extension to achieve the amount of grease. If the adjustment blot turns clockwise, the amount of grease/oil is reducing, if counter-clockwise rotation will increase the volume. The screw cap should be covered after the adjustment finished. 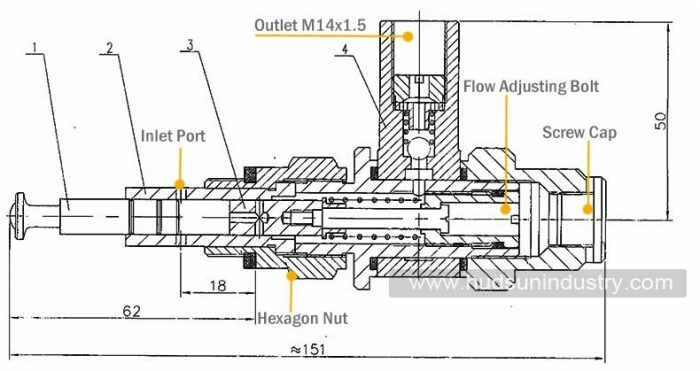 First remove the grease supply line before removing the injector, then loosen the hexagon nut to remove the injector, the grease supply piston of the injector should be tilted upward by about 30 degrees. After the piston is separated from the drive wheel, the entire injector can be removed. When the injector is removed, the working piston is lowered downwards to prevent the working piston from being damaged due to sliding. Pulling out the piston about 30mm before installing the injector, horizontal put on the installation of screw holes, and then work up the piston about 30 degree angle, so that the working piston end should be on the groove of the wheel exactly, then tightening hexagon nut again.